Using Asimov’s “Bicentennial Man” as a springboard, a number of metaethical issues concerning the emerging field of machine ethics are discussed. 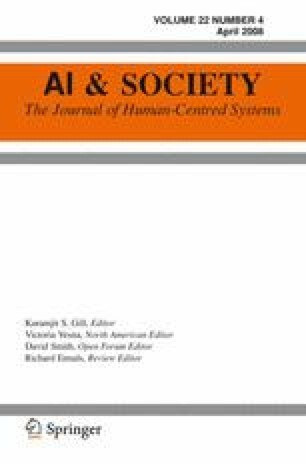 Although the ultimate goal of machine ethics is to create autonomous ethical machines, this presents a number of challenges. A good way to begin the task of making ethics computable is to create a program that enables a machine to act an ethical advisor to human beings. This project, unlike creating an autonomous ethical machine, will not require that we make a judgment about the ethical status of the machine itself, a judgment that will be particularly difficult to make. Finally, it is argued that Asimov’s “three laws of robotics” are an unsatisfactory basis for machine ethics, regardless of the status of the machine. This material is based upon work supported in part by the National Science Foundation grant number IIS-0500133.